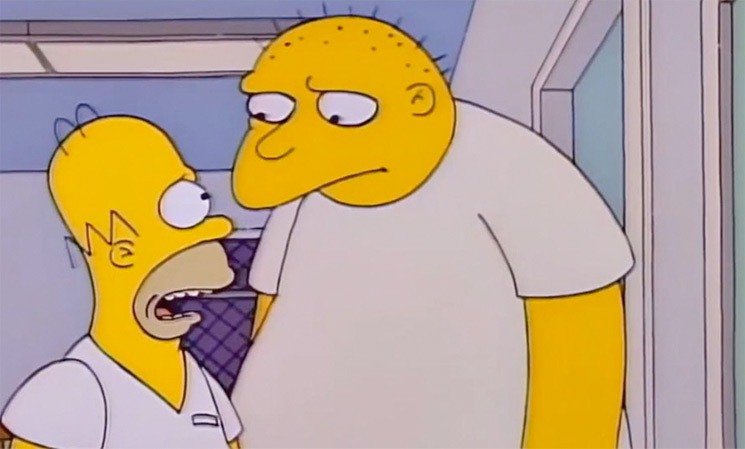 The Simpsons' showrunner Al Jean has claimed that Michael Jackson used his 1991 cameo on the show for "part of what he used to groom boys." Speaking with The Daily Beast, Jean was asked about the recent decision to remove the episode featuring Jackson, 1991's "Stark Raving Dad," in the wake of watching HBO's recent MJ documentary Leaving Neverland. The 1991 episode, written by Jean, saw Jackson voice the role of a psychiatric patient who thinks he is the pop star. Leaving Neverland, which aired on HBO earlier this month, details the allegations of child abuse by the pop icon. Jean told The Daily Beast that the decision to pull the episode was "something I agree with completely" and noted the episode "has a false purpose," explaining, "What saddens me is, if you watch [Leaving Neverland] — which I did, and several of us here did — and you watch that episode, honestly, it looks like the episode was used by Michael Jackson for something other than what we'd intended it. It wasn't just a comedy to him, it was something that was used as a tool." When asked to clarify what the "false purpose" was, Jean added, "I think it was part of what he used to groom boys. I really don't know, and I should be very careful because this is not something I know personally, but as far as what I think, that's what I think. And that makes me very, very sad." Last week, The Simpsons executive producer James L. Brooks told the Wall Street Journal that removing the episode "feels clearly the only choice to make." Earlier this month, three Montreal radio stations banned Jackson's music in the wake of Leaving Neverland's release. Jackson's estate filed a $100 million lawsuit against HBO in February and previously called the production a "tabloid character assassination."